BERMUDA BEACH! 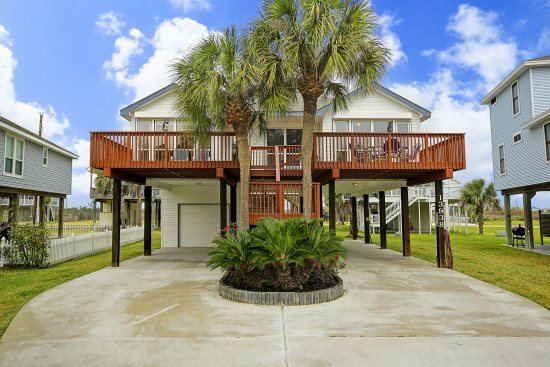 Newly Remodeled 3 Bedrooms/ 2 Bathrooms....Once you Czech Inn you won`t want to check-out of this beach side vacation home! Czech Inn is located in Bermuda Beach and is the perfect place to relax and enjoy the sound of the waves crashing into the sandy beaches of Galveston's West End. Sitting only three rows from the beach, you can be enjoying the sand and sun in no time. 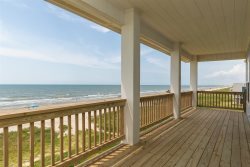 Czech Inn features an amazing deck with a partial beach view for outdoor entertaining, in addition to the large area under the home. The inside of the home is full of beachy charm and includes a large kitchen with a peninsula that seats four, a dining room with a table for six and plenty of seating in the adorable living area, leading to three spacious bedrooms. This home also includes a laundry room with a full size washer and dryer. Parking is available in the driveway and under the house. Maximum 4 vehicles. NO TRAILERS OR BOATS PERMITTED UNDER THE HOUSE. We also ask that you please do not park on the street.